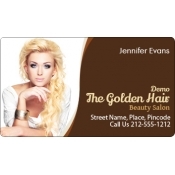 Promotional beauty salon business card magnets make the most affordable and effective promotional choice for beauty salons that are trying hard to promote their business. 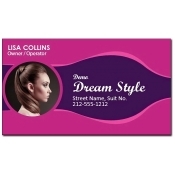 They can easily indulge in these custom magnets for long-term promotions. Colorful advertising magnets are retained for reference and can be used as a refrigerator art. 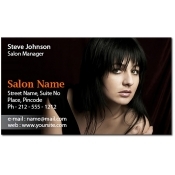 Women may never want to let go off the business card magnet because it will serve as their reminder. 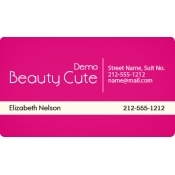 You might have tested and tried several marketing techniques to promote your beauty salon and giving away beautifully colored business cards is one of them. 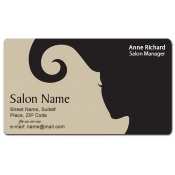 What if you use a magnet as your business card?Yes, you can easily continue the same habit by indulging in these custom salon business card refrigerator magnets. 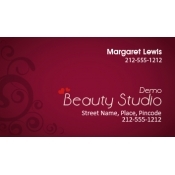 We can proudly say that these promotional magnets are designed to attract attention. Today, there is crowding of beauty parlors around the towns and cities in USA. Many of them operate through franchises and others through individual services. 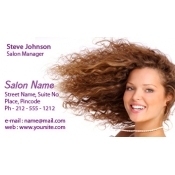 Most beauty salons operate as small businesses and people usually approach them through referrals. However big or small a beauty salon is, it becomes necessary for them to reach out to their potential clients in a special way. They all invest in special promotional tricks which bring them more business than their nearest competitor. Coupons, discounts and savings are some of them. They can now easily host their business name in the minds of their prospective clients by giving these custom magnets printed with their business logo, visuals and contact name. We offer attractive price savings on wholesale orders for these customized magnets. Salons can order it as a year round gift that can be handed out during mass local events, tradeshows, fashion shows and more. Avail free art setup, free online design proof and free shipping anywhere within the contiguous USA. We offer free full color printing which allows marketers to work with as much colors as they wish. Beauty salons can stack it for distribution during mass events because it is lightweight and stock it as gifts for the whole year. To know more about customization, shipping and more about these beauty and spa magnets, feel free to contact us at 855-762-4638 (Toll Free) or write to us at info@cmagnets.com.